High Waist Jersey Leggings Long is rated 4.4 out of 5 by 29. Rated 2 out of 5 by LondonBuys from Be careful these are seethrough Not a fan of the fact that underwear can be seen underneath these. Will keep but I still need to find a better pair for the gym. Rated 2 out of 5 by Kerry from Poor quality & poor fit Wouldn’t recommend these leggings, they are extra tight at the waste band. And fade very fast. 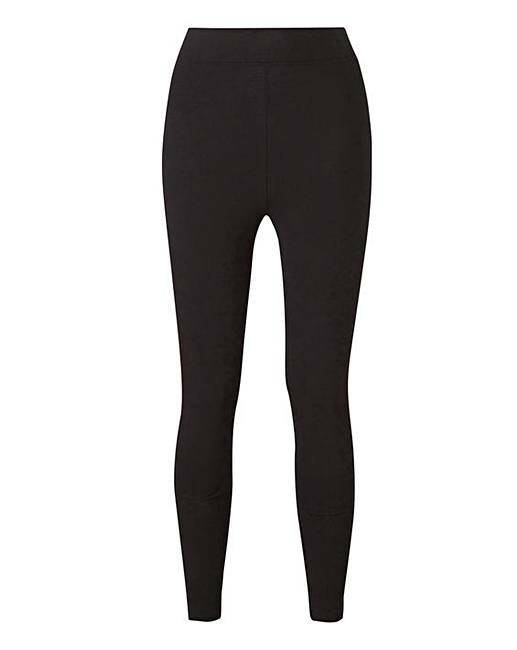 Rated 4 out of 5 by Louise88 from Excellent quality Brought the leggings about a month ago sizing is pretty accurate they wash well and very comfortable! Definitely be ordering some more.